When getting into e-cigarettes, the first question users should consider is how much time they want to invest into their new hobby. If they’re looking for something easy to vape on and requires no work, disposables may be the way to go. However, for anyone who prefers to personalize their vaping experience and get the most out of every puff, rechargeable offer a much more customizable experience that is ultimately cheaper over time. When considering the benefits of rechargeable e-cigarettes, one of their main advantages is longer battery life than disposables. That extended usage is essentially the main difference between the two types of devices, with disposables running out of power after a certain amount of puffs and rechargeables offering the ability to continually recharge the same battery over and over again. Certain batteries have longer-lasting power than others, but all last significantly longer than throwaway devices. Browse all batteries. Many people claim disposables are better, because there is less tinkering involved before taking a hit. While that’s convenient for casual vapers who don’t care about the details of their device, rechargeables offer the ability to adjust so many variables (airflow, wattage, battery life, colors, eLiquid type), they’re the best option for regular e-cig users looking to create their own personalized vaping experience. One of the key selling points for disposable e-cigs is that they cost less than rechargeable e-cigs. While there may be validity to that, if the usage is moderate, the fact is frequent users will find rechargeables are actually cheaper in the long run, because they don’t have to keep re-buying pre-filled cartridges and there is less overall waste. 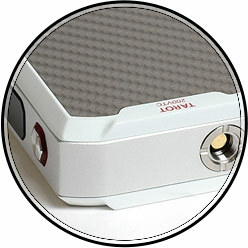 From the eLiquids offered to the device itself, everything about rechargeable e-cigarettes is higher quality. While certain rechargeable devices might be a bit bigger than disposables, they’re always built to last longer and each offer customizable variables that separate them from their cheap counterparts. 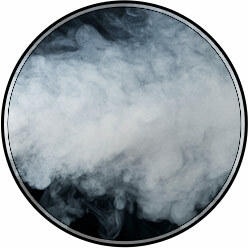 Furthermore, since eLiquids are manually added to rechargeable e-cigs, users can choose from hundreds of unique flavors, opposed to a much smaller selection of generic flavors offered via disposables. 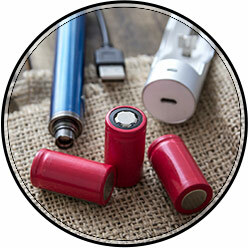 There are various reasons rechargeable e-cigs produce more vapor than disposables. The main one is rechargeable MODs and PVs offer variable settings users can adjust to their personal preference, which offer the ability to directly or indirectly produce more vapor. These options include variable voltage, adjustable airflow and even the ability to try various eLiquids - many of which have higher VG ratios and in turn, produce more vapor. As you’ve probably noticed in passing disposable e-cigs at convenience stores and gas stations, these throwaway vapes are typically only equipped with a relatively small amount of generic flavors. Think strawberry, peach, grape, watermelon, etc. On the flip side, rechargeable offer hundreds of exotic flavors for users, giving vapors an endless amount of flavor concoctions to try and fall in love with. Browse our full selection of eLiquids. Even if users don’t constantly refresh the battery life on their rechargeable MOD or PV, most rechargeable still offer longer usage rates than disposables. 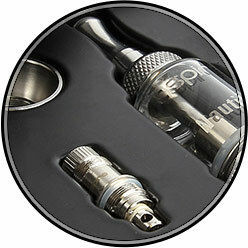 The main reason for this is rechargeable require customizers and tanks, which hold much more eLiquid than disposables. 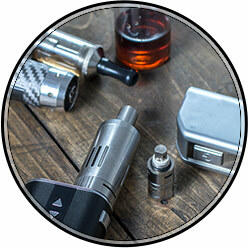 Many MODS or PVs can hold twice as much liquid as their throwaway counterparts. Browse our full selection of Cartomizers & Tanks.